I interviewed Jeannie some while ago...but promptly lost it in my marvelous filing system. Oooops. Have a look at the tagline in her banner - sound familiar? We're twins, beadstylin's shop and my blog! Cats! We have two black kitties. Our male cat is a polydactyl. He has eight toes on each front foot! Star Trek, but only if it's the 60's version. The other stuff just leaves me scratchin' my head. You mean like breakfast, lunch, or dinner? Or favorite food? I'll answer both. Favorite meal: supper. Favorite type of food: authentic Mexican. Nice hot shower with lots of fragrant Etsy soaps. Word of mouth brought me to Etsy. I sell handcrafted jewelry. I've been making jewelry for about 12 years now and absolutely love it. It's relaxing and addictive, as well as educational. I do sell at craft fairs and out of my home, but I much prefer selling on Etsy. 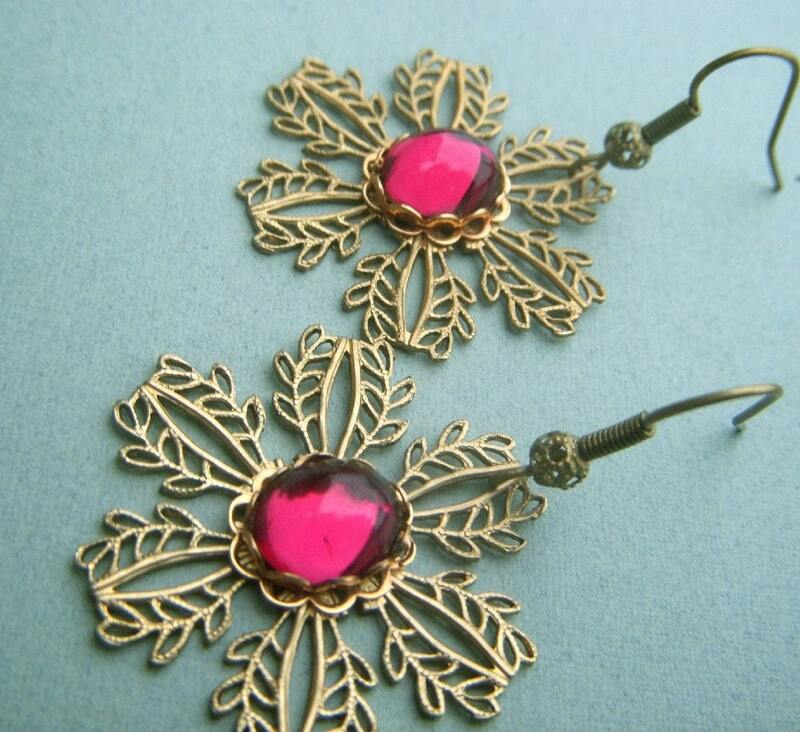 My favorite item was a metalsmithed earring creation I named "Silverleaf". 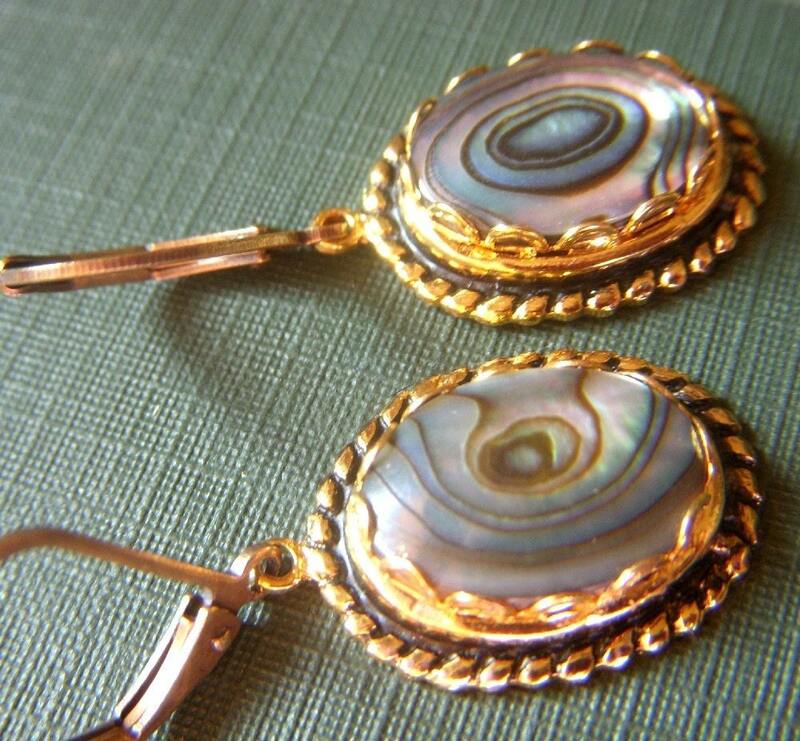 I toiled for hours over those earrings, soldering, sanding, and polishing. I'd make sure I start with killer pictures. I'd like to get a bit more into metalworking. 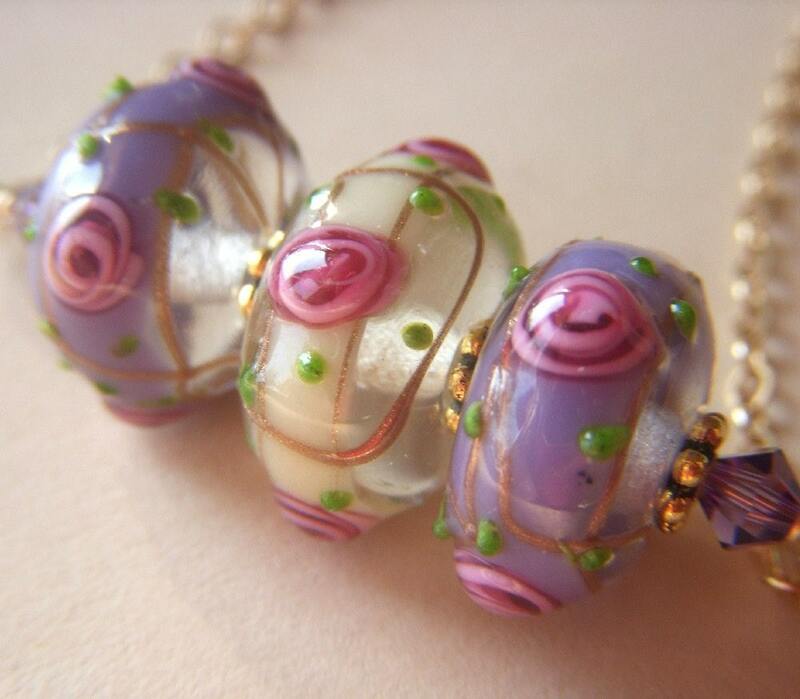 And, once I get my new torch set up, I will continue to add my lampwork beads to my shop. Not a thing. Just recovered from a craft fair, and it feels good to get off my feet. It's all about presentation. There are others out there who are selling similar items, so you have to be creative in not just WHAT you do but HOW you present it. And that means outstanding photos, detailed, interesting descriptions, and excellent customer service. Great interview! I love Jeannie's jewelry and it was fun to learn abit more about her. 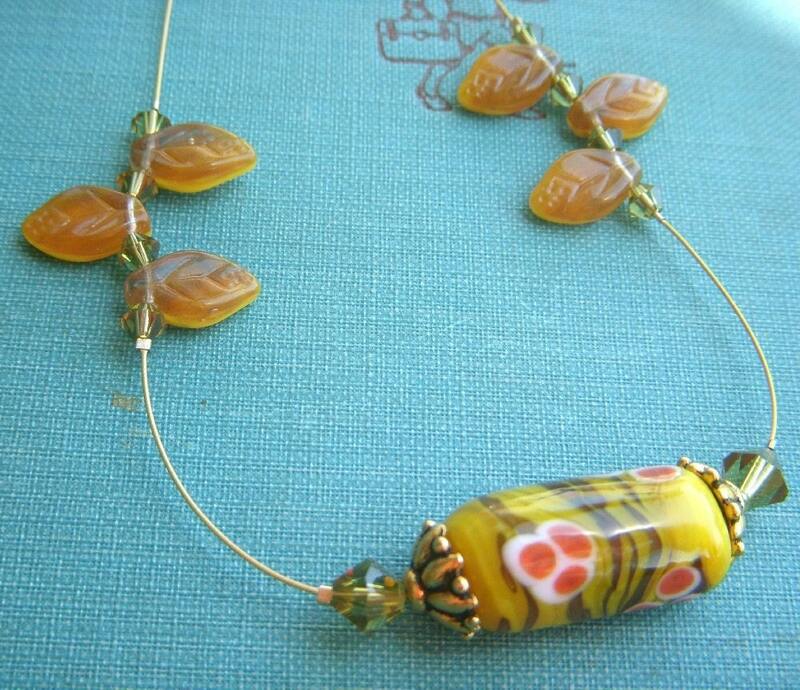 Super interview, really interesting to learn more about Jeannie and her beautiful jewellery! Jeannie, I think your photography backgrounds are *excellent* - just enough texture to add interest but not so much as to detract from the piece. And great advice, too, thanks! this is so much fun. great interview that enables to learn more about the people behind the avatars. Great interview and lovely to meet Jeannie. Nifty strikes again...great interview of Jeannie! Both entertaining and informative. Jeannie, your jewelry and photos look amazing!!! 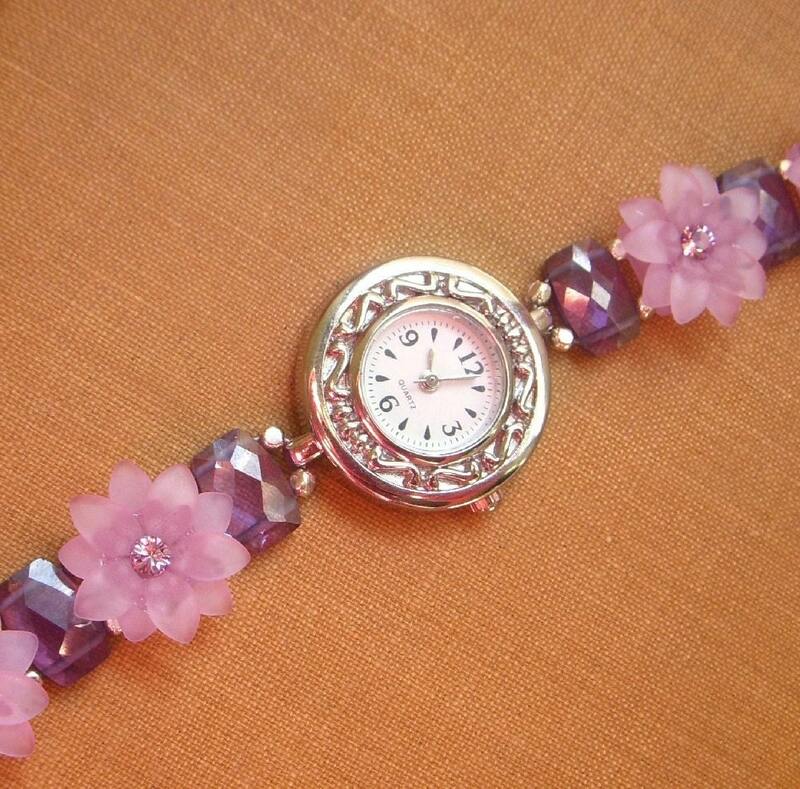 Jeannie's jewelry is marvelous. We have very similar tastes, and so there isn't a piece in her store that I don't love.